Inspired by her childhood memories of growing up by the ocean in La Jolla, California, Katy Zane's art reflects the magic she still feel whens thinking of her favorite spots -- the Shores, La Jolla Cove, Wind N Sea. 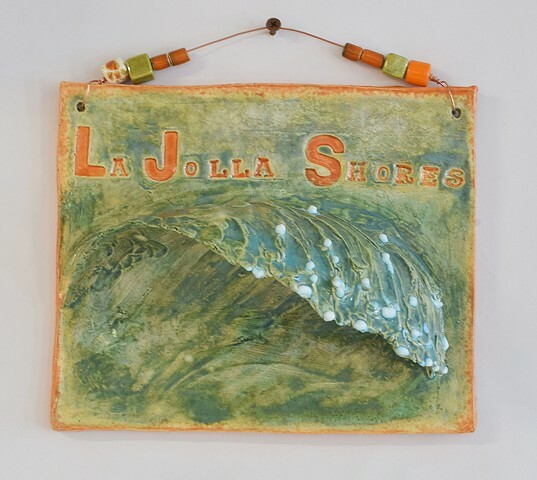 Often incorporating ceramic pieces into mosaic projects, she tries to capture the essence of a joyful day at the beach. Now living in Northern California, she is also moved by the beauty of open space and the variety of plants she finds on the greenbelts and farmland just moments from her front door. When she is not producing art, Katy works as director of a nonprofit that serves low-income families and individuals throughout Yolo County. She also teaches mosaics to low-income women, helping to heal through the therapy of creation. She taught most recently at Women's Wisdom Art in Sacramento, California.